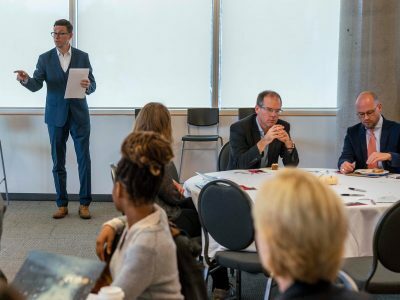 Carleton University’s School of Social Work recently launched its new clinical social work lab, generating excitement within the school and beyond. Social Work Professors Sarah Todd and Kenta Asakura. 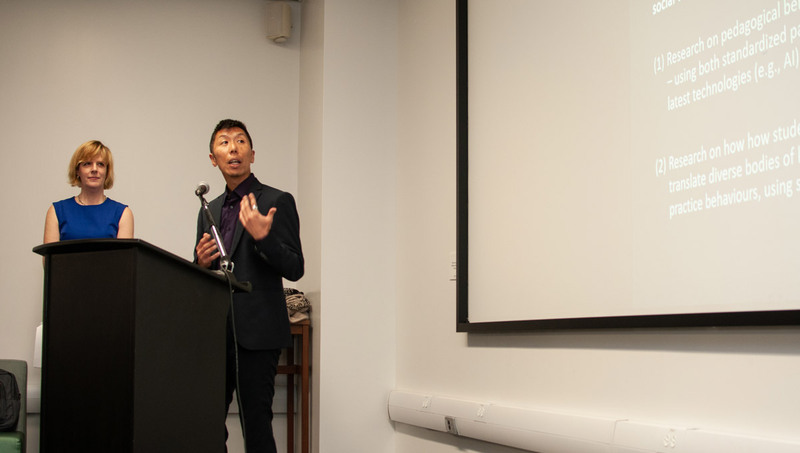 The event also featured a keynote address from University of Toronto Professor Marion Bogo, a pioneer in the use of simulation in the field of social work. The SIM Social Work Research Lab (SIM stands for Strengthen, Innovate and Mobilize) enables students and practitioners to participate in research to engage with simulated clients—whether an actor or through artificial intelligence technology—while researchers record the session and observe through a one-way mirror and AV technologies. 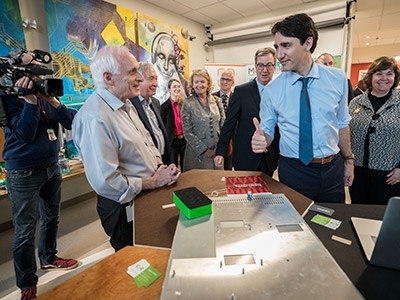 The lab was created with the help of a $143,000 grant from Canadian Foundations for Innovation. It is being directed by Social Work Professors Kenta Asakura and Sarah Todd, who will be analyzing the use of Artificial Intelligence as a teaching method. 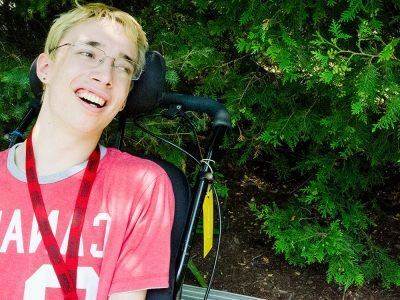 “This allows us to practice working with clients who navigate different life experiences without experimenting on human beings and potentially harming them,” explains Todd. 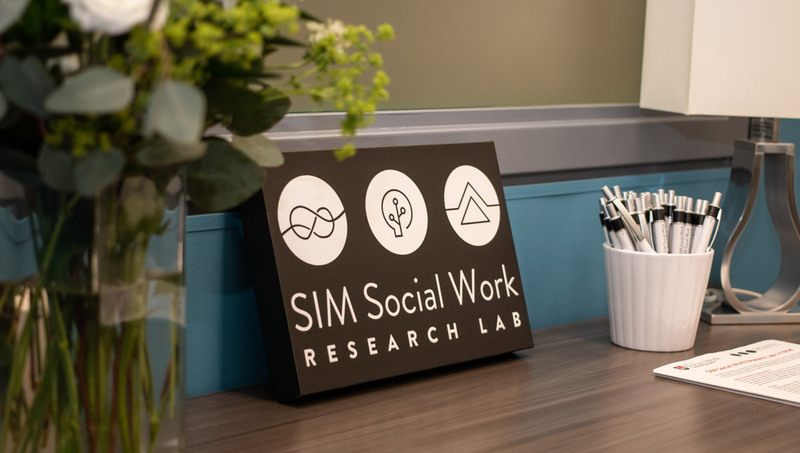 The SIM Social Work Research Lab will also enable the researchers to assess the nuances of interactions between social work students, and practitioners, with simulated clients. For a seasoned social worker, finding the right response to a client might seem intuitive. But Todd and Asakura think it’s more than intuition—that it can be learned. They’re asking their students to identify a moment of uncertainty during a counselling session and then review it. The team is watching for the small cues that distinguish more experienced practitioners from someone with less experience. 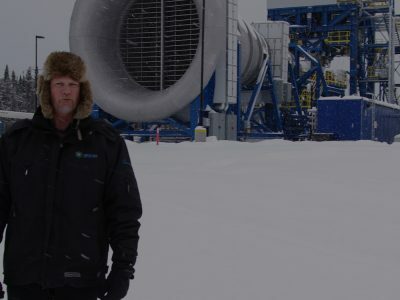 The research will eventually extend to community partners, as well. Their hope is to strengthen social work practice both on and off the university campus. 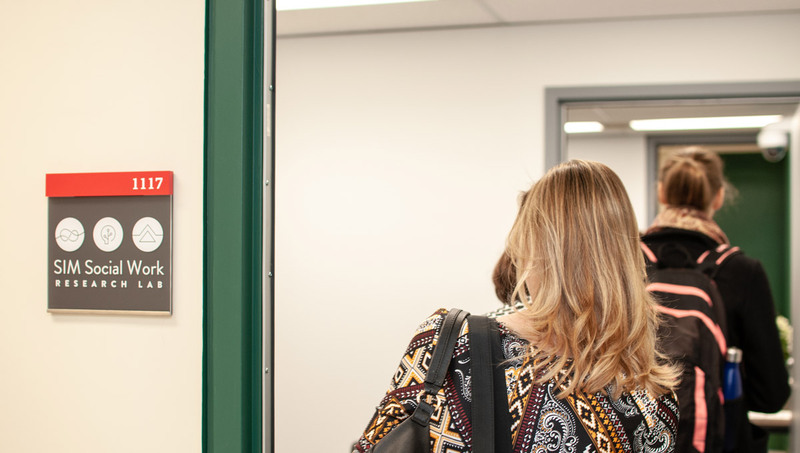 For more information about the SIM Social Work Research Lab, visit: carleton.ca/socialwork/simlab. The lab is actively recruiting PhD students and community partners.